ROME – Italian firms Leonardo and Fincantieri have announced tighter cooperation on naval systems work to help them build better ships and get ready for an expected Italo-French team-up in warship construction. The two firms said they would relaunch Orizzonte Sistemi Navali, an existing joint venture between them, to develop naval combat systems. Leonardo, which holds 49 percent of the joint venture, has long supplied radars, guns and systems to ships built by shipyard Fincantieri, which holds a majority 51 percent stake. OSN was created in 2002 to integrate the work of the two firms on Italy’s Horizon frigates, Cavour carrier and FREMM frigates, but was not used for the more recent construction of Italy’s new PPA frigates. In its new form, OSN will “assume responsibility for the development of the combat systems and the definition of subsystem requirements and individual components’ architecture, including the Combat Management System (CMS),” in new vessels, the firms said in a statement. “Fincantieri will act as prime contractor, the single interface to customers and hold responsibility for the warship as a whole (Whole Warship Design Authority), therefore in charge, on behalf of OSN, of the architecture of the ship system concerning both the platform and the combat system. Leonardo will be the preferred partner for the Combat Management System and the equipment and systems of the ship,” the statement reads. An Italian industrial source said the deal was designed to make systems integration more central to shipbuilding by the two firms. “Until now a lot of work on integration took place during the ship building process. Now, integration should happen earlier in the process,” the source said. The source added that the deal also helped Fincantieri and Leonardo get ready for a planned integration of Italian warship building with France’s Naval Group, which is being discussed by industry and government officials from both countries. Naval Group builds platforms but also handles systems work. Thirty percent of the firm is controlled by Thales, the systems provider. 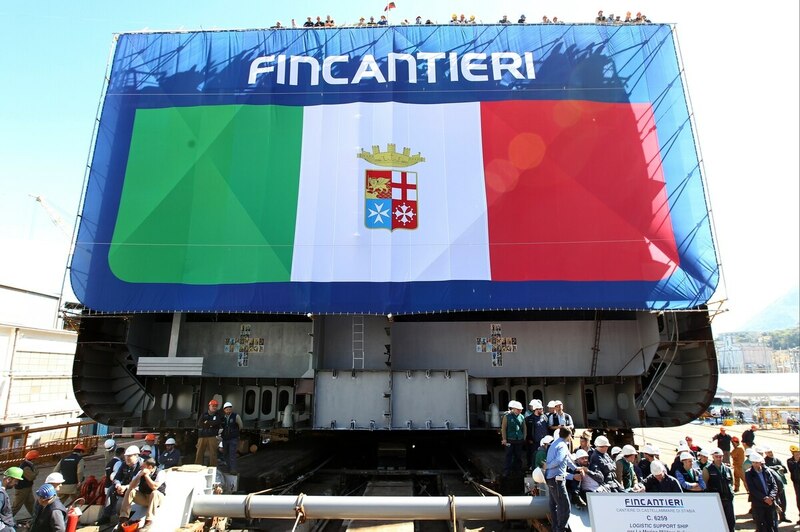 Fincantieri, which is Naval Group’s counterpart in the talks, is a platform builder and has no systems work. But now, as a 51-percent stakeholder in OSN, that is expected to change. “The deal means OSN has capabilities in-house that Naval Group has,” said the source. “It balances things out with the French,” he added. The deal may satisfy Leonardo CEO Alessandro Profumo, who has expressed fears that French systems, rather than his, will equip Italo-French ships since Leonardo does not have a key role in talks.